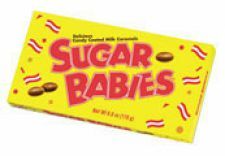 Enjoy bite-sized, milk caramel goodness with Sugar Babies, America’s favorite chewy caramel treat. 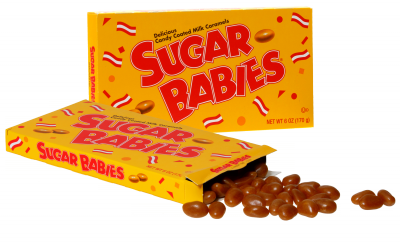 Introduced in 1935 in response to the success of the Sugar Daddy caramel lollipop, this younger caramel sibling holds its own as one of America’s most popular milk caramel candies. 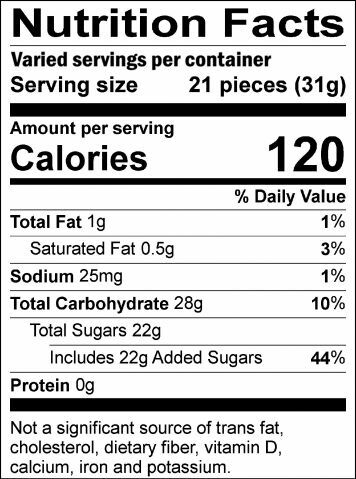 The slow-cooked, candy-coated milk caramels are both movie theater and at-home favorites, sold in a variety of box, pouch and bag sizes, ensuring the right amount of share-friendly candy for any occasion.